Let us manage your rental property in Las Vegas, North Las Vegas or Henderson. We care for an extensive portfolio of single family homes, townhouses and condos in Las Vegas, North Las Vegas and Henderson. Quality Maintenance & Repair. Our long-term relationships with Las Vegas' finest suppliers enable us to provide our clients with reliable, cost-effective maintenance and repair services, ensuring the value of your property stays strong. Glistening like a jewel in the middle of the Mojave Desert, this oasis is a place where worlds of fantasy and reality are difficult to define. The Dream of Las Vegas did not begin with the roll of the dice or the shuffle of a card deck, but with the footprints of past generations of Native Americans that searched out its lush water, abundant grasses, and food and medicine sources. It was here they built villages, hunted, conducted their ceremonies, gambled, traded, lived and died. Some were known as Anasazi others as Paiutes. The land sale auction of 1905 started our humble beginnings as Train Stop #25 and Las Vegas became an official town site with approximately 600 people, 11 saloons, 6 hotels, 1 hardware store, 1 ice house, 2 churches and the notorious “Block 16”. Today Clark County has approximately 2,069,681 people (according to a 2014 US Census estimate); 3,876 restaurants, 122 casinos, 136 hardware stores, 840 churches, no ice houses & the activities that took place on Block 16 are no longer legal in Clark County...and if you were wondering...over 197,144 slot machines. 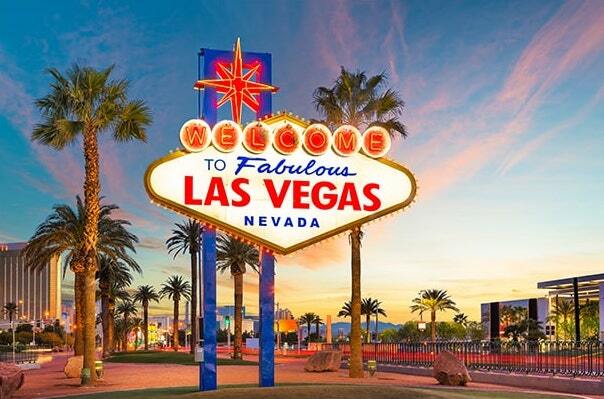 Each year millions of visitors journey to Las Vegas, seeking its excitements and delight. 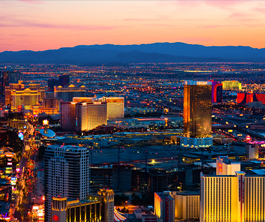 Las Vegas – City of Lights – Entertainment Capital of the World - is an internationally renowned destination vacation spot with world class dining, shopping and entertainment. This ever changing oasis of the desert is constantly changing; whether it is neon or nature, it is spectacular.